After going out of the League Cup midweek to Arsenal, today’s early kick-off sees us play host to Newcastle in the fourth round of the FA Cup but whilst most predictions I’ve seen seem to have us as firm favourites to go through, I’m less convinced. Of course, we’ve shown we’re capable of throwing in a decent performance here and there but those have become ever more sporadic. The size of the squad obviously doesn’t help in a season where Conte has more frequent fixtures to contend with than he did in his honeymoon season and the players look worryingly weary at times both in body and spirit. The fact that weariness is also reflected in our once manic manager, worn down by the usual press nonsense and whatever it is he’s up against behind closed doors, does nothing for the confidence of us looking on. 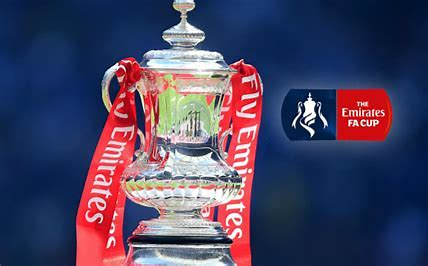 We’ve had a lot of success in the FA Cup over the years and its an important competition for us although whether or not the current crop of players will have the same sense of sentiment is doubtful. We’d also had a good record against Arsenal before this season and that appeared to mean very little to them in the second half Wednesday night. We can only hope there’s some pride left to play for amongst them. For Chelsea, Thibaut Courtois (ankle) and striker Alvaro Morata (back) remain out and Willian (hamstring) is another absentee after coming off against Arsenal. Cesc Fabregas (hamstring) could return, whilst Drinkwater and Cahill are doubts. For Newcastle, Aleksandar Mitrovic (back) and Jesus Gamez miss out and Florian Lejeune (foot) is a doubt. Kenedy is ineligible to play against us. ~ The most recent FA Cup tie between the 2 sides ended 1-0 to Chelsea (2006). ~ Newcastle have gone out in each of their last four FA Cup fourth round ties.